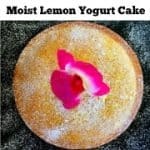 This is a sponsored post written by me on behalf of Tasty Bite. All opinions are 100% mine. 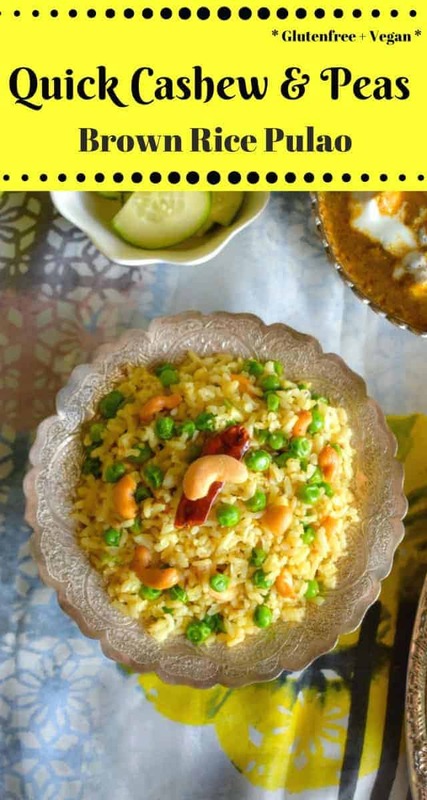 Quick Cashew and Peas Brown Rice Pulao: An extremely delicious, easy and famous pulao from Indian cuisine. 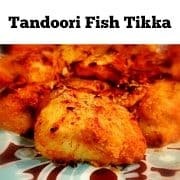 The flavors are mild and it can be served as is or with any side of veggies, curries or yogurt. Hello Everyone, hope you had a great weekend! After a long time, it had been absolutely gorgeous and sunny in California, which meant only one thing – Being completely outdoors!! Surrounded by tons of beaches, mountains and beautiful trails nearby, it was absolutely lush green and sunny everywhere. 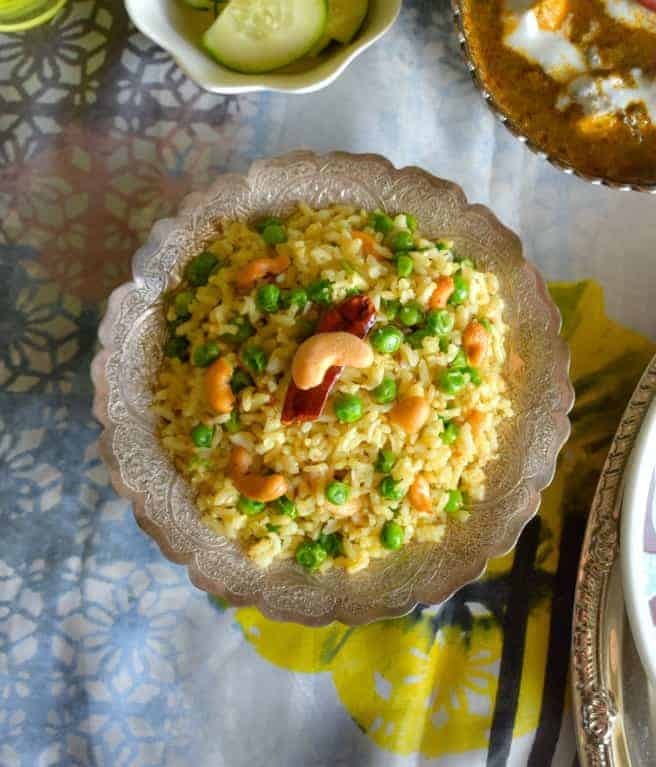 With all that natural beauty around, we ended up having an impromptu picnic with friends and I made this delicious and absolutely famous Indian recipe of Quick Cashew and Peas Brown Rice Pulao. I found them while I was picking up rice for the recipe of Quick Cashew and Peas Brown Rice Pulao for the picnic. They were located in my local grocer’s International food aisle and these cute ‘yellow pouches’ were absolutely calling my name…. 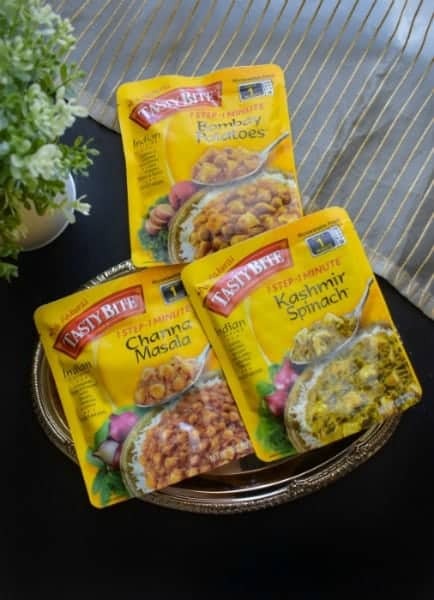 I mean look at all the choices ‘Chana Masala / Kashmir Spinach / Bombay Potatoes /’ and much more….who could resist all those delicious flavors and above all they are ready in 1 Minute !!!! Seriously, what else do I want from life (hehehhe, actually a lot of things but for now, I’m stoked to have found this). As the label said, it was absolutely easy to make it. I just snipped open the top and placed the pouch in the microwave for a minute. That’s it, our dinner was ready and it took me a minute !!! 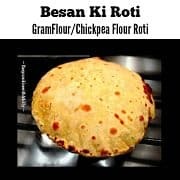 We actually ate it with some leftover rotis (Indian flatbread) from the afternoon along with fresh yogurt and a simple salad. 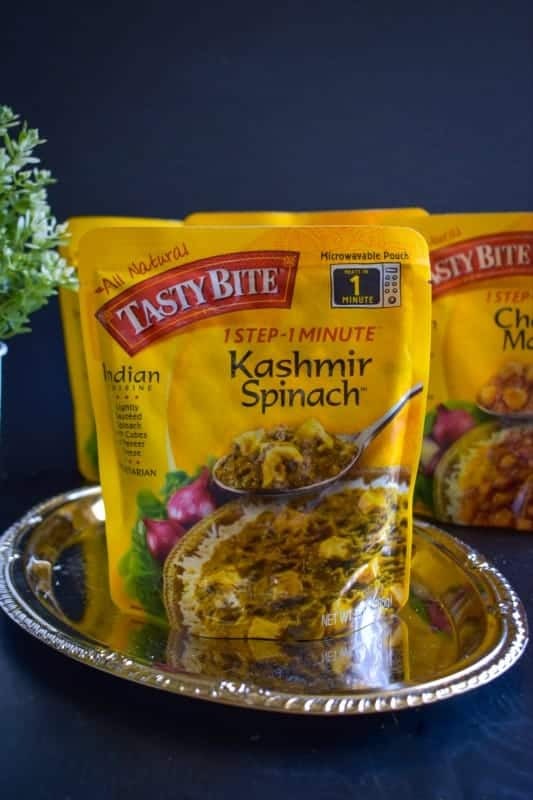 If you’ve never tasted Kashmir or Kashmiri food (cuisine from the region of Kashmir in India), it’s supposed to be extremely aromatic because of use of spices as Kashmir is comparatively a colder place and eating a lot of spices keeps the body naturally warm. 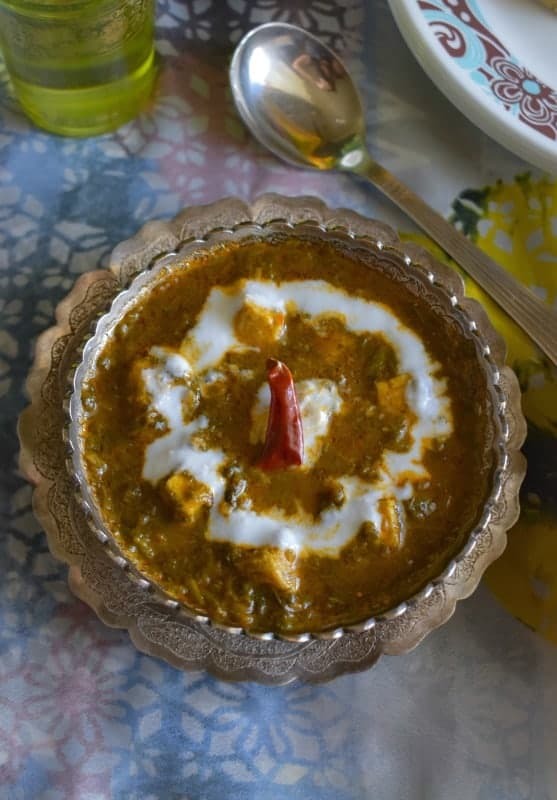 Hence, the Kashmir Paneer tastes absolutely delicious and lush with small paneer (Indian cottage cheese) pieces in it. And guess what, instead of just the Quick Cashew and Peas Brown Rice Pulao, I’m also taking this Kashmir Paneer (5 pouches to serve 11 of us) which I’ve decorated with some fresh cream on top. We actually loved the combination of this particular pulao with this and hence wanted everyone to taste it too. After all, whenever you come across good products, you definitely share them with friends and family. Also, Tasty Bite products are vegetarian, GMO-free and made with nothing artificial. Second: using cooked rice and skillet. Whichever, way you try, it comes out delicious and I’ve been making it these 2 ways for last 3-4yrs. If you ask me the difference between the two styles, I would say it’s all about convenience and a little bit of intensity of flavor. The rice is sauteed along with peas, spices and I’m using vegetable stock (which you can replace with water) to cook it. 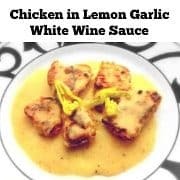 Hence, definitely, this method is slightly longer…about 5-6 minutes but it’s more flavorful as everything is cooked together and the flavors are mixed and absorbed perfectly. Since the rice is already cooked, all you have to do is saute the peas and spices with little stock (read above) and mix in rice. Then let it simmer for a while and the pulao is ready much more quickly because of cooked rice. The flavors are great here too but they are not that intense. 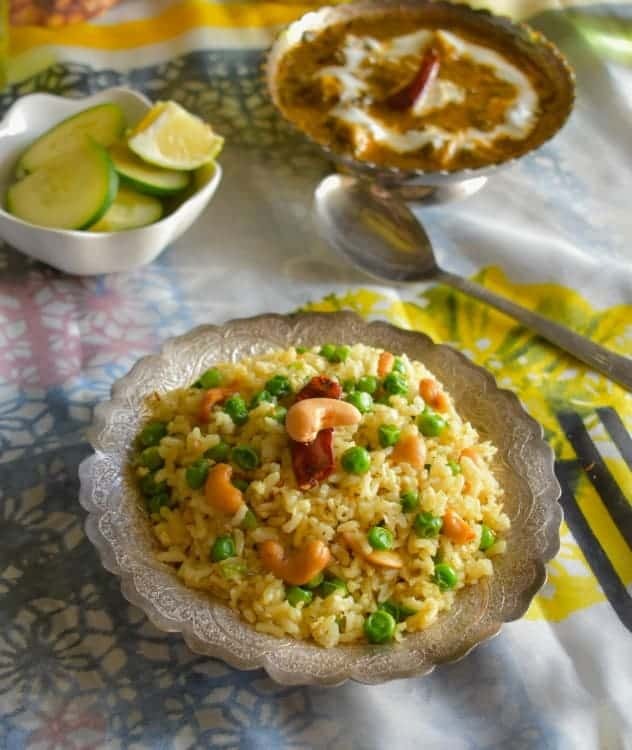 Hence, I say, depending on convenience and availability, this Quick Cashew and Peas Brown Rice Pulao can be made. Also, you can replace brown rice with any other rice or grain of choice. So, here’s the final picture of the two delicious dishes together before everything gets packed and we are off to picnic with friends in the mountains. 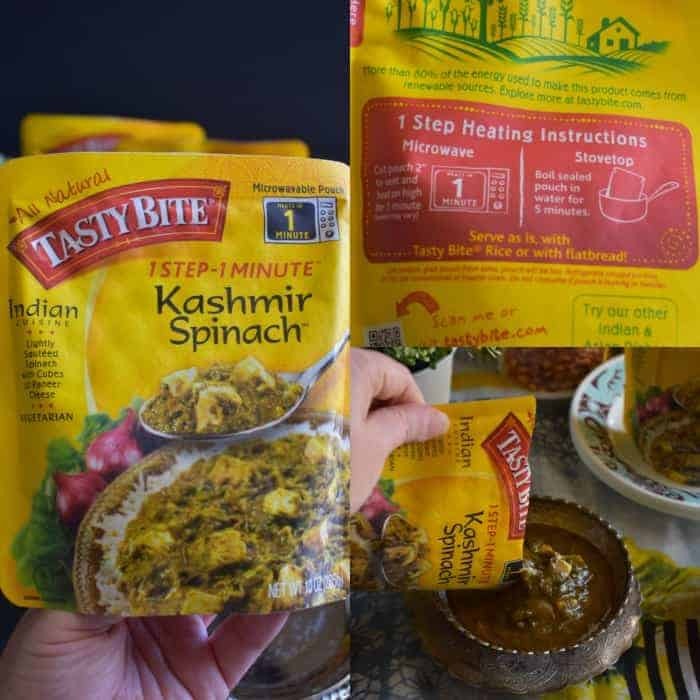 Go ahead and give ‘Tasty Bite’ a try as soon as you can and they have lots of options available from Thai, Indian, and Asian products. Hope you have a great week ahead and come back for another delicious recipe this Wednesday. Add all the spices except garam masala and saute. Now add peas and saute for 1 minute on medium low flame. Add the cashews and saute for 1/2 minute. Finally, add the rice, garam masala and saute everything. Keep the pressure cooker lid over it for 2 minutes on low heat (let it cook). Saute after 2 minutes and add vegetable stock. Saute and close the lid of the pressure cooker. Turn off the flame after 3 whistles and let the pressure cooker cool. Open the pressure cooker and fluff the pulao using a fork. Transfer to Serving Dish and Serve Fresh. Now add peas and saute for 2 minute on medium low flame. Add the cashews, vegetable stock and saute for 1/2 minute. Finally, add the cooked rice, garam masala and saute everything. Let this cook on medium flames for 2 minutes. Saute one more time and turn off the flames. 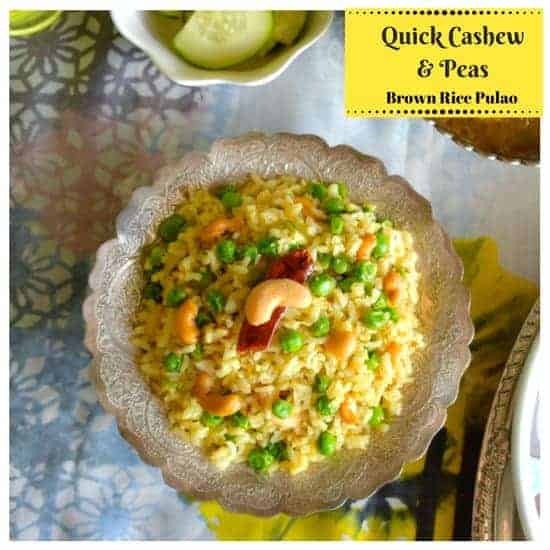 28 Replies to "Quick Cashew and Peas Brown Rice Pulao"
That is a lovely recipe with brown rice. I am the only who eats brown rice at home and my husband hates it. I will try something other than just plain brown rice and maybe he would eat them as pulao. 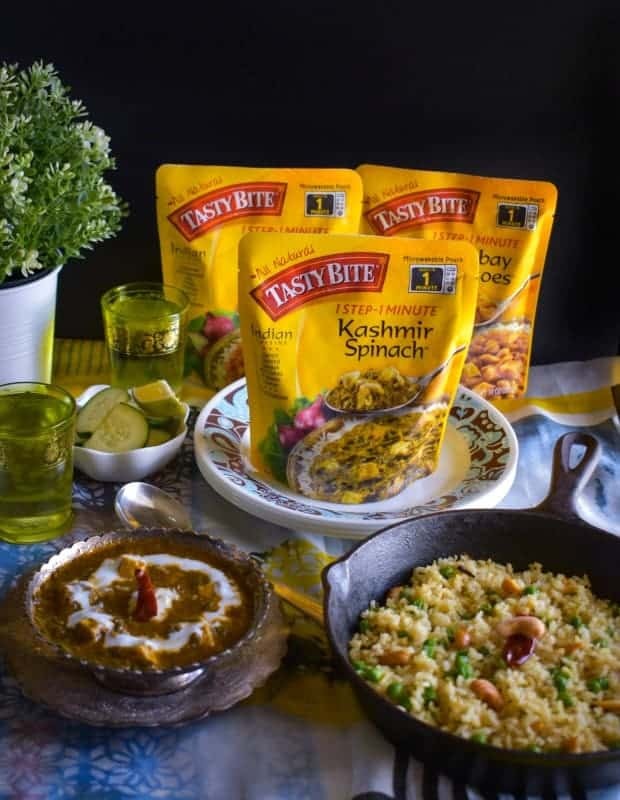 Love the creations you have made using these Tasty Bites ingredients! 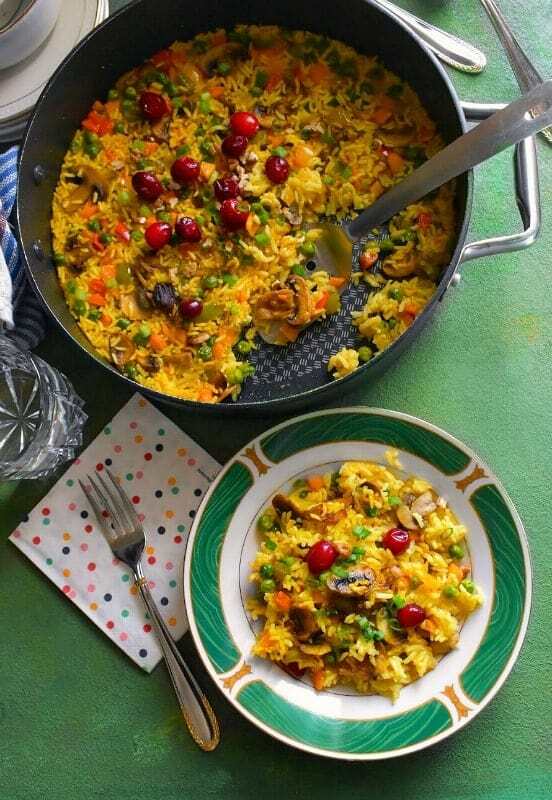 Beautiful photos of what reminds me of a fried rice – yummy! That rice is cooked to perfection! 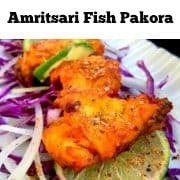 Such an amazing combination of spices and definitely my kind of food. I can certainly have a big plate and ask for a second portion too. Thanks Vidya. They are available in local stores like target, costco, wholefoods and more. That rice is cooked to perfection! Such an amazing combination of spices, it’s definitely my kind of food. I can certainly go for a big plate and ask for a second portion too! I have purchases some of these at Costco and love them! I like how you added more to them to make it a complete meal! I’ve never heard of this product but it looks like a lifesaver! Or at least a sanity saver. This dinner looks really tasty! I love rice after all in the Philippines we eat it 3x a time. I don’t do that so much here in the US but I certainly enjoy a bowl once in a while and this lovely pulao is certainly right up my alley! I love a quick tasty side. 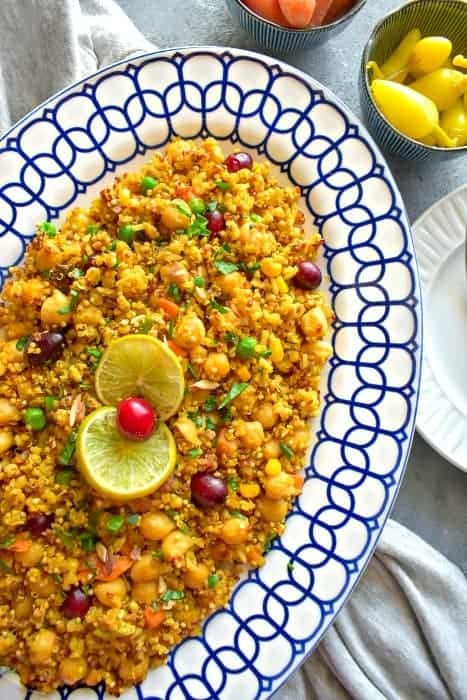 I’ve never heard of or tried pulao before, it sounds like a versatile and flavorful dish. I definitely need to find these at the store. I’ve been hunting for new weeknight meals that arn’t the same of chicken and veggies or pasta. YUM! This would be an excellent side dish. I’ve never thought to make this, so I’m excited to try something new! This sounds like a delicious side dish for any meal. I will definitely be giving this a try. The peas add just the right amount of color. This sounds really good. I have never had pulao before but I like all of the ingredients. Thanks Pam. 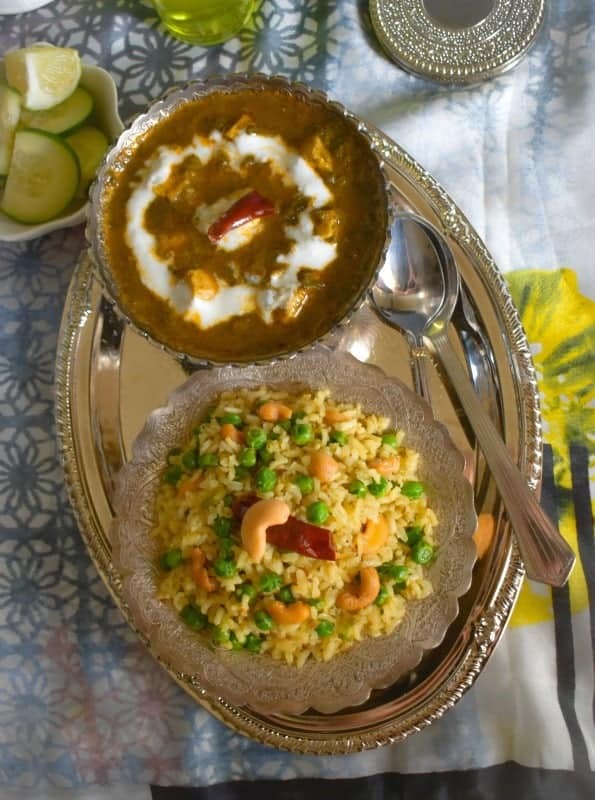 Pulao is very similar to a risotto and very very easy to make. I’ll keep an eye out for these in the super market next time! Sounds super delicious and lately, I’m looking for a lot of instant fixes for busy weeknights!